TENMAT high temperature filters are made out of inorganically bonded granular minerals, providing more strength than any other commercially available filter. 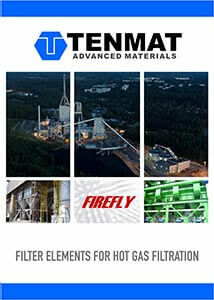 TENMAT hot gas filter elements are filter tubes developed for operating temperatures up to 1000 °C. TENMAT manufactures a wide range of element designs in a choice of exonerated refractory materials tailor-made to customer requirements. Without the use of asbestos or ceramic fibres, TENMAT Candle (CS1150F) and Big Tube filters (CS1255F) comply with the highest environmental emission standards worldwide. Filter plant engineering will depend upon a number of key conditions, including the required temperature of operation, the gas volume and the chemicals involved. TENMAT can recommend HGF system builders. Request our ‘INSTALLATION AND OPERATION MANUAL for TENMAT Hot Gas Filters’ for advice. TENMAT high temperature filters are made out of inorganically bonded granular minerals, providing more strength than any other commercially available filter. 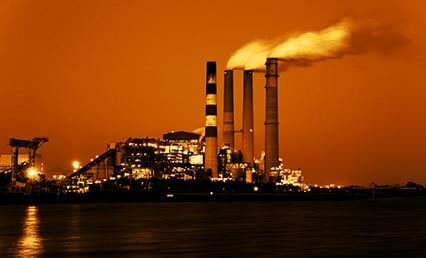 TENMAT hot gas filter elements are filter tubes developed for operating temperatures up to 1000 °C. TENMAT manufactures a wide range of element designs in a choice of exonerated refractory materials tailor-made to customer requirements. Without the use of asbestos or ceramic fibres, TENMAT Candle (CS1150F) and Big Tube filters (CS1255F) comply with the highest environmental emission standards worldwide. Our network of distributors outside of Europe and America will ensure first class local service and availability.